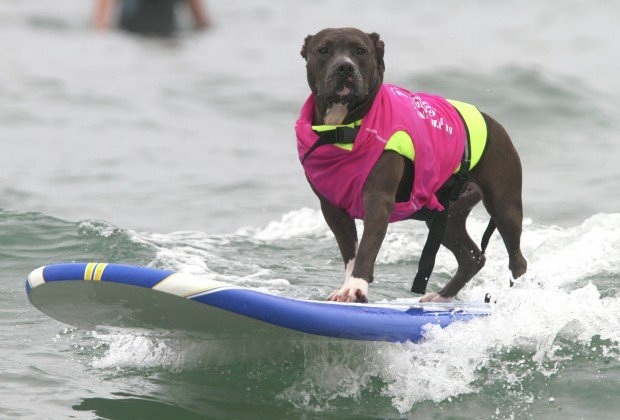 Favorite Pastime: Surfing, Going to the beach, Swimming, Playing Ball, Playing with Kids, Playing with her two Boston Terrier siblings, Kiko and Shorty. Bella has always loved the water. 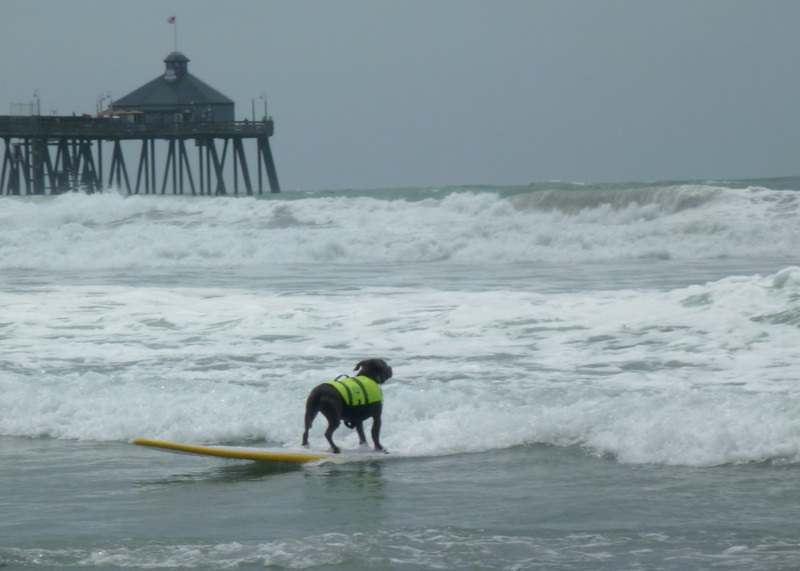 We took her to the beach the first day we got her, and she absolutely loved it, especially crashing through all the waves. 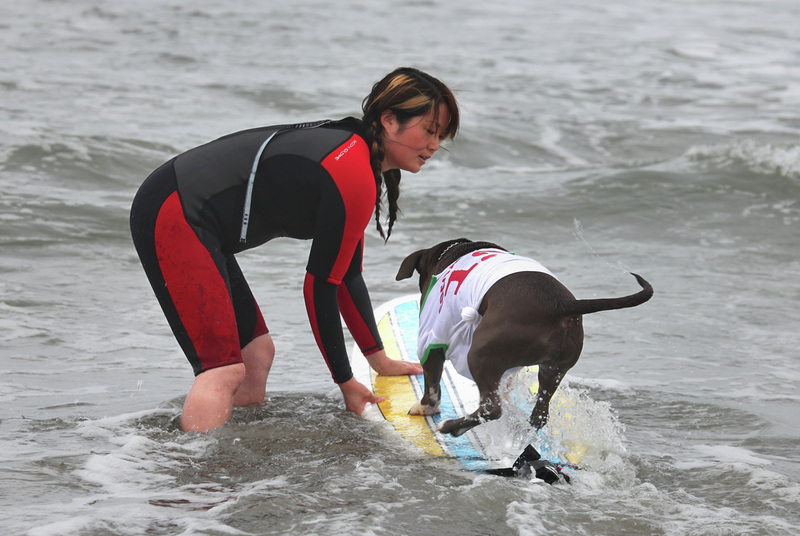 I always wanted a dog to be able to take out with me when I surfed so one day when I was out surfing and I thought it would be fun to put her on the board just for fun. I put her on and she fell in love. She was a natural, balanced on the board so well! 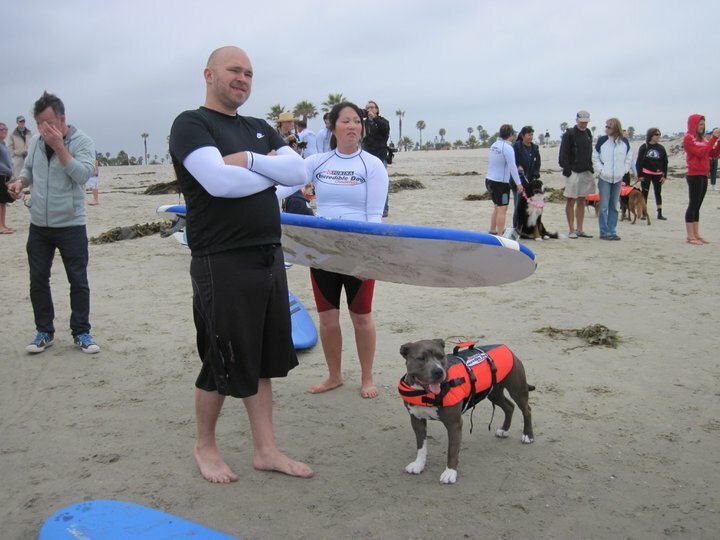 About a year later, I found out from a SoCal Surf Dog member that dog surfing was a popular sport in San Diego and there were actual competitions, so I entered her in her first competition in May 2010. 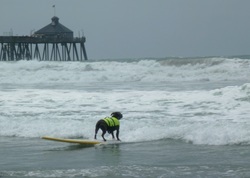 SoCal Surf Dogs seemed like a fun group of people and dogs who were into surfing as much as we were, so Bella and I decided it was something we wanted to do. They are such a great group of dogs and people! 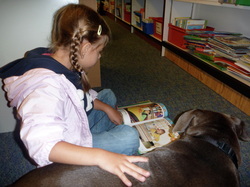 Bella is also Canine Good Citizen and a certified therapy dog. Her and I currently visit a elementary school twice a week visiting with first graders where they read to her. She loves it, and the kids adore her!